What is Epub and How to read Epub files? With the popularity of e-book readers, EPUB has become familiar with more and more people. This article will give a brief introctuion of EPUB format and instruct the ways to read EPUB files on you computer, mobile phones and tablets. 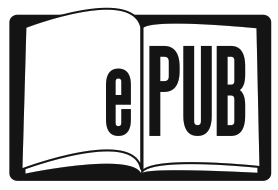 EPUB is short for electronic publication. The format is one of the most popular file formats for e-books. Files have extension .epub. The files in an EPUB archive can include your words, images, tables of contents, stylesheets, fonts and details or metadata about a book, such as author or title. EPUB is a layout-agnostic format that allows the content to be read even on small screens. That is why most of the e-book readers support EPUB files. What is the difference between EPUB and PDF? Some people may be confused about the difference between PDF and EPUB as they appeared to be the same. In fact, there are internal distinctions. PDF file is a print-oriented format with a static layout. The stability makes it the ideal format for preparing an document and printing on paper, as the file will be exactly the same for printers as on your own computer. EPUB file is a display-oriented format. The feature makes it display very well on many different devices by allowing the text to adapt to the size of the screen while still respecting the layout and formatting. If you are seeking a dynamite reading experience, EPUB is a better choice. How to read EPUB files on different devices? If you want to read EPUB files on your computer, two ways are recommended. The first one is to install an EPUB reader program on your computer and the second one is to install the extension of your browser. 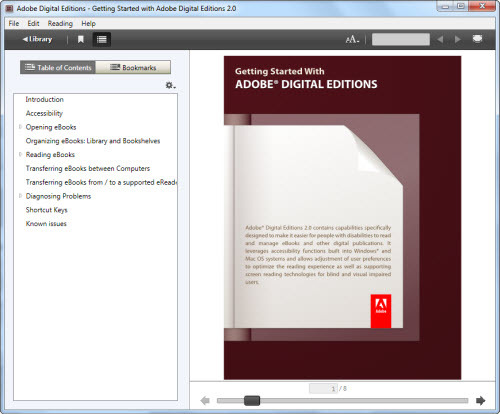 Adobe Digital Editions provides an engaging way to view and manage EPUB ebooks. It also gives you the full control to orgnize your ebooks into a custom library and annotate pages. This is a pretty good choice for people who do not like to install seperate applications. The plugin is a thorough and feature-rich EPUB reader. With the fullscreen mode on, (while hiding the navigation toolbar), it makes reading actually quite nice. To read EPUB files on Android Phones you need to install the relevant application to open the file. Epub Reader for Android is recommended. For Apple aficionados iPad is a good alternative for eReader like Kindle. 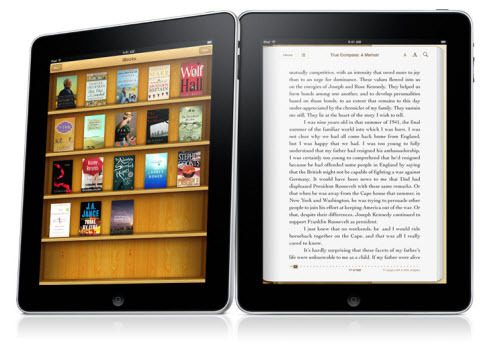 iBooks is an e-book application developed by Apple which can perform on its IOS system. Users can install the app from iTunes APP store. How to convert PDF to EPUB for free? The layout-oriented feature makes EPUB a dynamite choice for people who like reading on digital devices. However, we have to acknowlede that PDF file format enjoys a wider popularity than EPUB. How to convert PDF to EPUB for a better reading experience when you have lots of ebooks in PDF format at your hand? We have a free PDF to EPUB Converter to recommend. PDFMate Free PDF Converter is a multiple output formats converter. 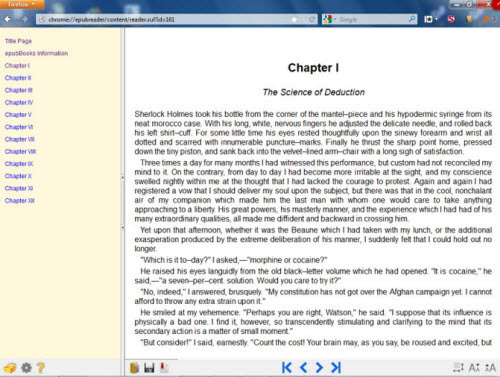 You can convert PDF files to EPUB in just a few clicks with well preserved layout. The PDF to EPUB Converter supports to add PDF folder. You can convert batch PDF files in only one click. STEP 1: Add PDF files to the program. STEP 2: Select EPUB as the output format. STEP 3: Move to the Advanced Settings. You can choose to convert each page as an image to EPUB or extract text and image from PDF to EPUB. STEP 4: Click Convert button and open the destination folder. You will find the nice displayed EPUB file.